Young adults are particularly vulnerable to addiction. The part of the brain that controls impulsive behavior has not fully formed, yet they are producing more dopamine, the feel good hormone, than they were when they were younger. Since many commonly abused substances effect dopamine production and poor impulse control encourages students to consume them this is a bad combination. College also provides the perfect opportunity for students to abuse drugs and alcohol. College students are experiencing the perfect storm of stress, a heavy academic work load, new found freedom, peer-pressure and the ready availability of drugs and alcohol. It is considered normal and part of the college experience for many students to “party.” Partying by definition involves some sort or drug or alcoholic beverage. Most students only party on the weekends but even that can be too often. Experimentation with drugs and college parties are not without risk. Young adults are already at greater risk of slipping into addiction than any other age group but when you add in the risk factors associated with college students the numbers sky rocket. Students who are enrolled in a full time college or university program are 50% more likely to have a substance abuse problem than a non-student. That is an alarming statistic and one that is increasing rather than decreasing each year. Alcohol is the most common drug on any campus in America. 4 out of 5 college students drink. 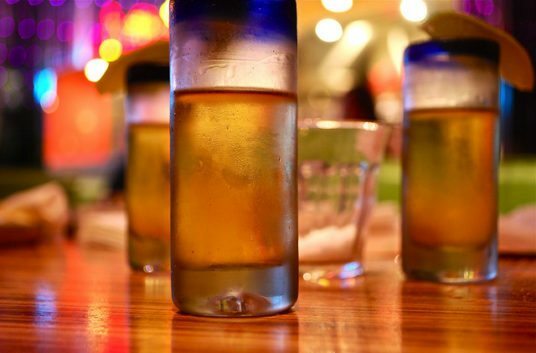 40% of college students binge drink. Member of a sorority or fraternity are 26% more likely to binge drink. Drinking on campus is so normalized that you see it depicted on t-shirts, in movies and on television. People tend to forget that most college students are too young to drink legally and are not only prone to binging but also committing a crime. Nearly a million students a year are assaulted physically or sexually in alcohol related incidents on college campuses. 25% percent of college students report academic consequences due to their drinking including missing class, getting behind or failing. Alcohol is a pervasive part of campus culture but not a positive part. Students who are enrolled in a full time college or university program are 50% more likely to have a substance abuse problem than a non-student. Daily marijuana use is on the rise on campuses all over the country. The statistics are effected by the fact that smoking marijuana is currently legal in Colorado, Alaska, Oregon and Washington, of course. But it is almost as popular in states where it is illegal on college campuses. More students smoke marijuana daily than smoke cigarettes as of 2014. These number include e-cigs and vaping and other forms of electronic tobacco products. Tobacco usage is down and marijuana usage is way up on campuses across the nation. Ecstasy, also known as Molly and MDMA is also on the rise. 15% of college age students have used it. It is primarily a rave drug and taken for all night dance parties. Since it is completely unregulated and illegal, users don’t actually know what they are taking when they think they are taking ecstasy. Pills are often laced with all sorts of other drugs and contain no MDMA at all. Over doses and strange side effects are therefore not uncommon. It is viewed as a very dangerous drug. More students smoke marijuana daily than smoke cigarettes as of 2014. 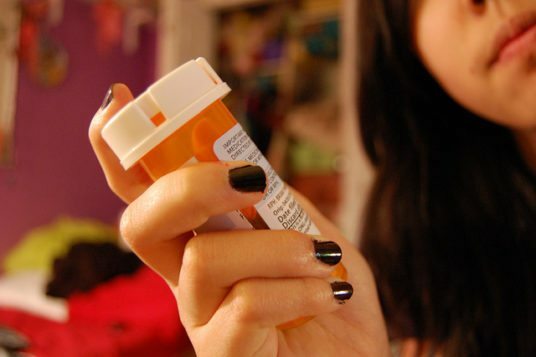 ADHD medication is frequently abused by college students and the numbers are only expected to grow. In fact, recent studies indicate that one out of every six college students is abusing ADHD medication. Many students believe it helps them study or concentrate. Some students take it for weight loss and some students take it to get high. Students who take it to get high might take it in really high doses, snort it or inject it. Research shows that the more competitive a college’s admission standards, the higher the rate of stimulant abuse is is on campus. Many students feel that it is safe since to take since it is a pharmaceutical and regulated by the FDA rather than a “street drug”. Many students also feel justified in taking it because they “need” it to get through finals or other stressful times at school and they are not taking it to get high. It is safe if taken for a legitimate condition and used as directed. But if you abuse it, it is highly addictive. Prescription opioid use has exploded on college campuses since the 90’s at an even faster rate than it has risen in the rest of the country. Pain killers containing opiates have been around for a long time but OxyContin was a game changer. Students often do not realize the life-altering effects OxyContin can have, or how rapidly they can become addicted.to it. OxyContin can cause brain damage and impair their judgment. It has a reputation among students of giving a pleasant drunk feeling without the hang-over, calories, chance of a DUI or voting. Some under age students report that it is easier to get OxyContin on campus than it is to get a six pack of beer. It is the most abused prescription drug on college campuses and only marijuana is used more by students. Over the counter drugs are also being abused on campus. It is estimated that 1 million students a year abuse OTC, primarily cough and cold medication. Students who drink a whole bottle of medication containing DXM, the active ingredient in Nyquil, may hallucinate or have an out of body experience. Since the drug is cheap, legal, readily available and seems harmless since anyone can use it. However, drinking an entire bottle can lead to an over dose and on rare occasions even death. Illegal street drugs like cocaine and heroin are not hard to find on campus either. About 5% of students have used cocaine by the time they graduate. The effects of cocaine when you snort, smoke or inject it often appeal to college students, who want to stay up all night to study, party, or keep up with the demands of an overloaded schedule. Cocaine is highly addictive and the crash when the high wears off leaves students feeling awful and wanting more in order to perk up and feel better. Heroin use on campus is on the rise. Some recent studies attribute the surge in OxyContin addiction to the upswing in heroin use but more research needs to be to solidify that claim. In a 2012 National College Health Assessment, 19.2% of survey participants said the typical student at their university had tried heroin at least once. Those numbers are shocking, yet little is being done to educate students about the specific dangers of using heroin on campuses. Alcohol abuse, binge drinking, drug abuse and drug addiction are huge problems on college campuses across America. Colleges have awareness and prevention programs in place. Most of these programs focus on alcohol, the average college student’s drug of choice. 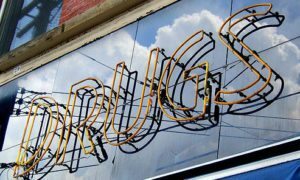 But mounting evidence is showing the need for these programs to expand their breadth and scope to include a much larger variety of drugs, especially prescription drugs and opiates. Campus medical centers also need to improve their testing and treatment options. Since the signs of drug addiction can be hard to spot in a high functioning college student, campus medical personal needs to be trained to look for the signs. Intervention is especially important for opiate users since the chance of overdosing is so high. Schools should also stock naloxone, which can bought under the brand name Narcan. It is available as a nasal spray or a pre-loaded injectable shot and instantly reverses the effects of an opiate over dose. High schools across America are now required to keep them on hand and colleges should follow their lead. Treatments facility information should be readily available on campus for students with addictions and help should be available immediately when a student seeks assistance. To effectively combat drugs and alcohol on campus there needs to be a cultural shift. College needs to be viewed as a place of academic and emotional growth rather than a place to escape from home and party for four years. The mindset needs to change so that students entering school are searching for growth rather than thrills.